There is a change that takes place between the proposal and the planning. You kind of have to step down from cloud 9 and tell yourself that it’s time to face a little reality if you want this dream to actually come true. Planning a wedding is no easy feat. I used to tell all my young and engaged friends that if you could make it through the wedding, you and your betrothed could face any hurdle life throws at you! Ok, maybe that was slightly naïve of me, but not too far off the mark. So, with a deep breath, I got the ball rolling and contacted Disney Weddings. Wow. That was easy. Honest to goodness, they about do it all! The things I have to do on my own I am easily guided through. Now…why did we not have a Disney wedding the first time??? Oh…we wanted to build character. Riiiiight. It begins with a short and sweet phone call with your personal wedding planner. Yeah, you read me correctly- Wedding planner! I feel so spoiled! My planner is Vita. After we chatted, she sent me a very polite email confirmation with a short form I needed to fill out, and we were off! We ended up choosing the Memories Collection package. 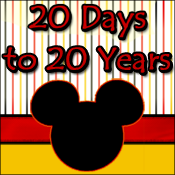 This is part of the Escape Collection, and a special promotion for 2011 in honor of Disney Wedding’s 20th Anniversary. In my opinion, it is perfect for a vow renewal. It’s very small in scale…intimate, I’d call it. It is for the bride, groom and up to four guests. Honestly, this ceremony is only for us and our children, so it was perfect for our needs. The price was perfect too –only $1991! Although you get more, the lowest tier Escape package will run you about $5 grand. We decided to have an early October ceremony at Luau Cove Beach at the Polynesian Resort. I grew up staying here on a regular basis, all the wonders of the lush Pacific islands surrounding me, that magical castle view within my sights. Sigh. Making the venue choice was a no-brainer. One requirement of a Disney wedding is you have to stay on property for at least two nights. Well, twist my arm, why dontcha?! Since we got such a great deal on the ceremony, we decided to splurge on the resort. As I mentioned, we are no strangers to the Polynesian, but we have never stayed in concierge before. This time, we are doing it up right! Theme park view included! I mean, you only get married once…er, twice…you know what I mean! Who knows if we will ever spoil ourselves like this again! The planning is nearly complete. With the great people at Disney Weddings, Vita included, that step off cloud 9 wasn’t a doozy! In fact, I think it’s safe to say I’m even more excited now that we have a date and a place! At the present, I just have to decide whether we do a wedding night dinner at Victoria and Albert’s or the Luau! Both are appealing in very different ways! What would you do?